Today's drink is dedicated to all you pretty ladies. I am sure you guys will like the name too; Pretty Berry. 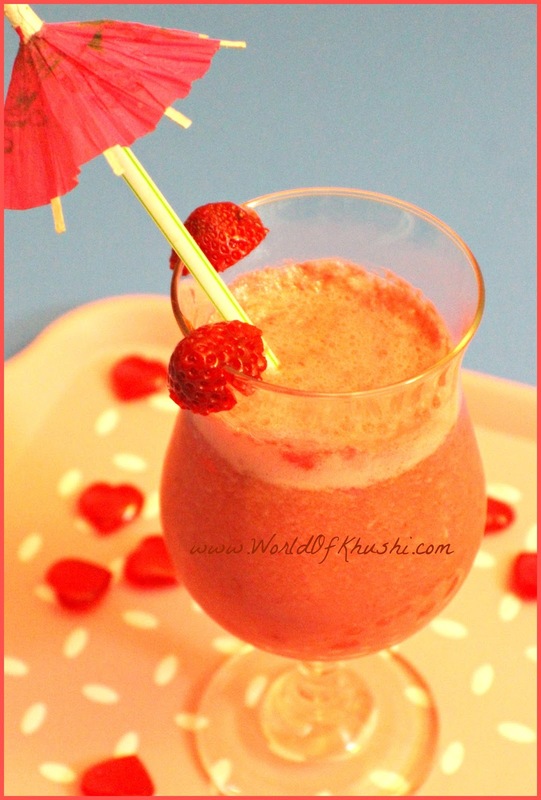 This Mocktail is filled with lot of berries & we know how much girls love Strawberries. Pretty Berry not only satisfies your taste but also is an impressive drink for any guests coming up. Step 1. In a Blender, add Ice-Cream & Strawberries. Blend until they mix together to form a thick paste. Step 2. Now add Cranberry Juice & Soda in the same paste along with Ice-Cream. Step 3. Blend together until you get a Mocktail consistency. Wolllaaaaa!!! 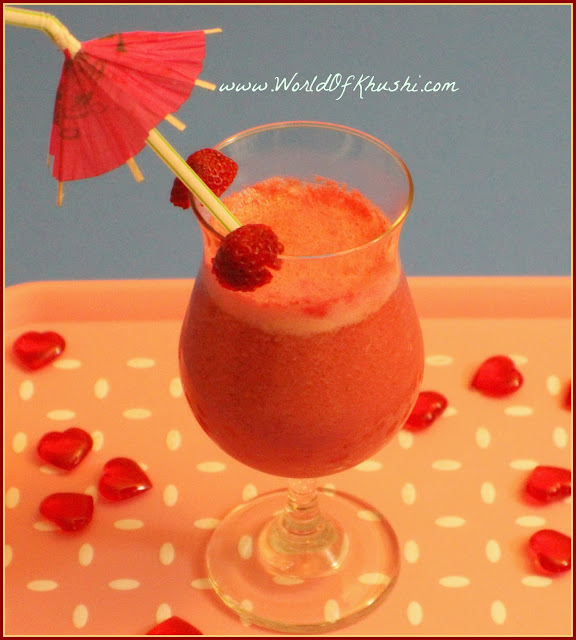 The Pretty Berry Mocktail is ready. Garnish with the Strawberries and serve chilled. 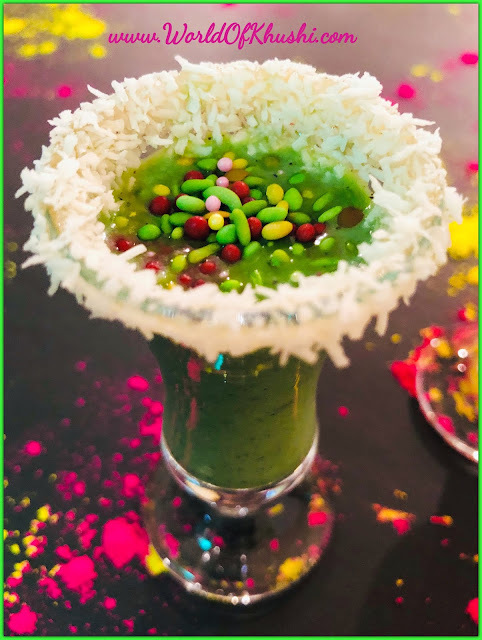 I hope you and your family will love this drink. If you try this then don't forget to share your pictures with me. Love to see them!! Guys do like the post & share it with everyone you know. Follow me on Khushi's World FacebookPage,Google+ , Instagram and Pinterest for more Posts.I will see you in next post till then take care.